How do I extend my Laptop's battery life? We all know how frustrating it is when your laptop runs out of charge whilst you are busy working. Fortunately, there are several methods for you to conserve your battery life and maximize your unplugged productivity. Use Battery Saver ​is the easiest way to extend battery life. 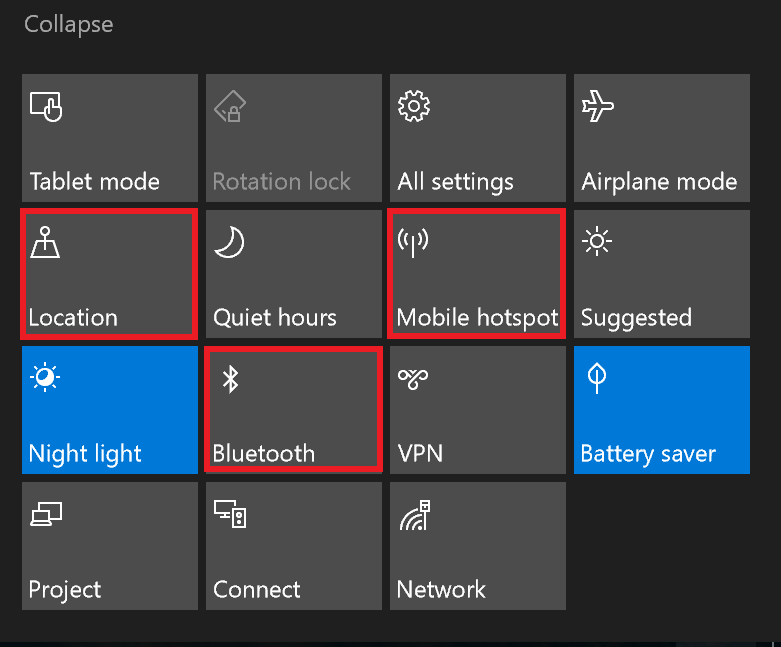 Select the Start buttons, and then select Settings > System > Battery. ​If you want battery saver to turn on whenever the battery falls below a certain level, select Turn battery saver on automatically if my battery falls below: and set it where you'd like. 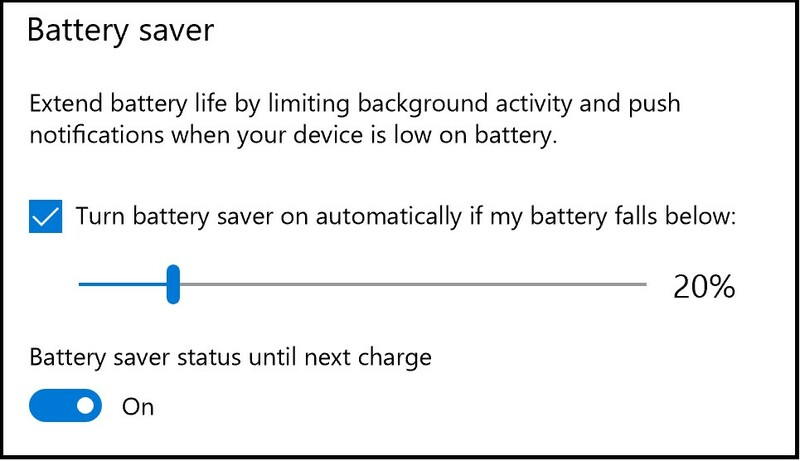 To turn on battery saver now and leave it on until the next time you plug in your PC, turn on Battery saver status until next charge. Select the Start buttons, and then select Settings > System > Display. Turn off Change brightness automatically when lighting changes, and then use the Change Brightness slider to set the brightness level you want. On Microsoft Surface, you can also change your brightness in Action Center by swipe the screen to Right. Select Expand for more settings and Tap on the button to adjust the brightness. You can also Turn On the Night Mode to reduce the blue light of the screen. Unplug your unused devices or peripherals. 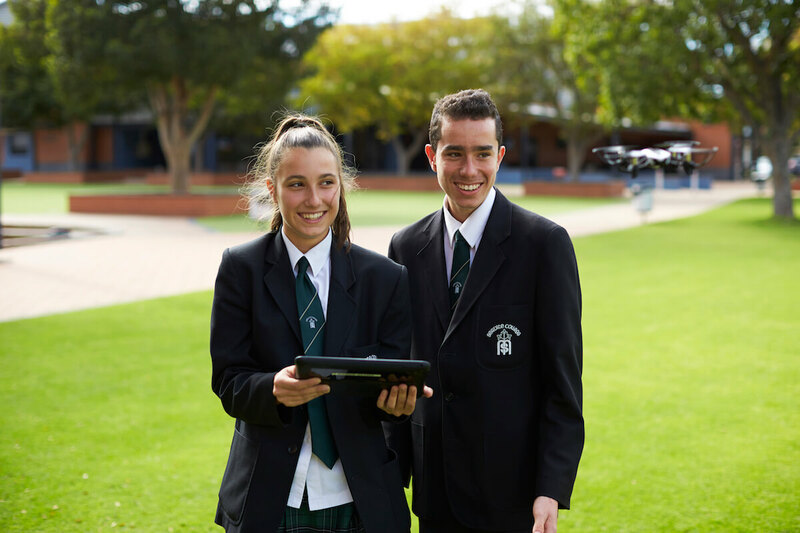 If you have devices or peripherals connected to your PC that you don't use, be aware that these use a lot of power, so be sure to eject them when no in use. Turn off open Application that are not being used. It is important to pay attention to any opened apps that are not being used. These unused application use up the existing RAM and processing power of your machine. This can be done by clicking the WiFi Icon from the bottom taskbar and turn off the WiFi by clicking the WiFi button. ​You can turn off the connectivity, which is Bluetooth, Location and Mobile hotspot in Action Center.